This is the first book in a new series for girls called Between Best Friends. Four close friends, Nathalie, Reagan, Catherine, and Isabel are a group of friends that navigate the challenges of friendship in middle-grade. 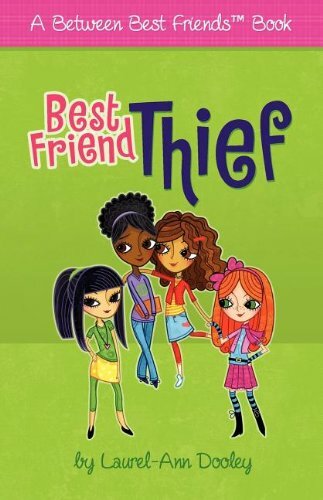 In Best Friend Thief, Nathalie's best friend Reagan is befriended by popular girl Blair Bennet who wants her as a best friend, without including Nathalie in the picture. This affects the foursome group, and Nathalie has to come to terms with the possibility that Reagan no longer wants to be her BFF. My daughter and I enjoyed reading this cute book together. My daughter said she could relate to Nathalie who she liked as a character. The girls were fifth graders like my daughter, and the scenes took place mainly at school. The author skilfully builds tension between the two friends, and even I could relate to the hurt that Nathalie felt when Blair manoeuvred unsuspecting Reagan to do things with her rather than Nathalie. Nathalie is a smart girl with good values and the story is told from her point of view. My daughter thought the ending was great, and that this book shows what friends should do when they fight or have a misunderstanding. It's an easy and quick book to read. 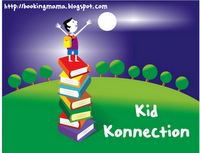 Girls who are more reluctant readers will appreciate the large font and the short chapters. This is a fun girly book.